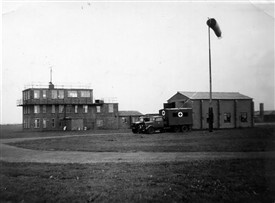 Things of note: After World War II it remained open as a relief landing ground to RAF Swinderby until July 1958. 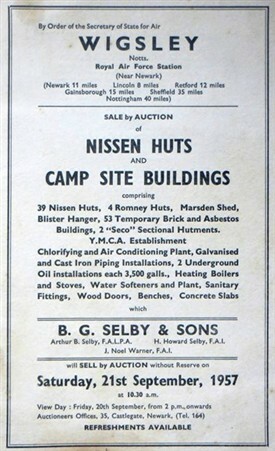 The sale document that accompanies this item has recently been added to the Newark Air Museum Archive, and sheds an interesting light on how various buildings from the airfield (Nissen Huts and Camp Site Buildings) were offered for auction on Saturday, 21st September 1957. The sale was conducted by B G Selby & Sons from their office at 35 Castlegate in Newark. Current status: Some airfield structures and buildings remain including the Watch Tower but most has been returned to agriculture. The Wigsley to Besthorpe road heading back towards the A1133 passes approximately 20 metres from the remains of the Watch Tower. 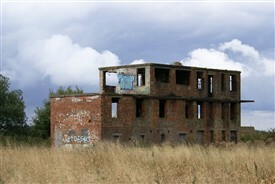 Recent reports suggest that someone may be seeking planning permission to turn the building into a residence. This page was added by Howard Heeley on 26/11/2014. I remember in the early 1960s between Wigsley being closed as an aerodrome and before being used for agriculture a lot of people used to fly model aircraft there, the runway was still intact when we used to go there. I remember similar things about Wigsley around that time. As a youngster growing up in Newark we travelled over to Wigsley to see the radio controlled planes; one regular flyer was Pete Anderson who owned the toy shop in Carter Gate, Newark. I used to buy all my plastic models from there until I joined the air museum. My auntie also learnt to drive on Wigsley. 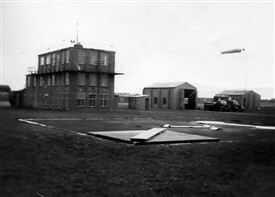 The airfield also made it into the Guinness Book of Records, when a local aviation enthusiast flew his homebuilt plane, the Ward Gnome at the airfield during the 1960s.